Outdoor business signage goes a long way in branding your business. 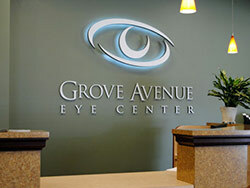 Well-designed signage can go a long way in attracting more customers, increasing the profitability of your business. We at Dave’s Signs have handled scores of sign conversion projects for businesses of all shapes and sizes. When it comes to updating old signage, our proven process, creativity, and sign expertise allow us to provide clients with outstanding signage results. Here is a quick case study about one of our latest projects. It’s a classic example of how a modern sign projects a more upscale image for the hotel. The ownership of Country Inn & Suites changed hands, and the new owner wanted to rebrand the business to the Amanzi Hotel. This hotel mostly caters to tourists visiting the area. The client saw our website and was interested in the information and details of the signage services we provide. Since the business was being rebranded, our client needed to upgrade the existing signage that was already on the property. They wanted a modern sign design using their new logo that would immediately draw the attention of passing tourists. The remodel and rebranding design needed to be in sync with the interior design of the hotel. The project included a pole sign with freeway visibility and two ground monument signs at the entry driveways. They needed the new signs to fit over existing old misshapen sign structures. Here is a photo of the old entryway monument sign below. The pylon sign was created using LED illuminated channel letters over pan formed aluminum. Some of the unique features of the sign are the halo lit wave details. Best of all, we successfully fit the sign right over the old structure. The job went smoothly from start to finish. We handled everything from the design, fabrication, and installation of the Amanzi Hotel pylon and the entryway monument signs. The illuminated signs reflect the more upscale image of the new hotel and our client is extremely happy with the outcome. In addition to design, fabricating and installation services, we also handle maintenance and repairs of all types of signage. For more information, feel free to call Dave’s Signs at (805) 641-1387, or reach out to us online and we will get back to you shortly. Be sure to also check out our sign galleries for some inspiration.